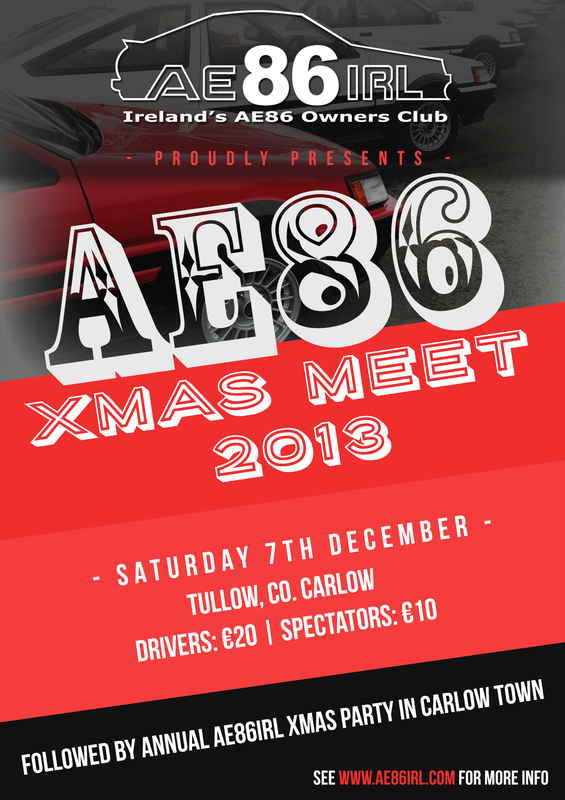 For Irish AE86 fans It’s hard to imagine a better scene than standing at the pit wall in Mondello Park watching a mix of our island’s finest hachi’s flat out to the backdrop of screaming 4age’s all in different states of tune. To put it quite simply it was a bit special…. 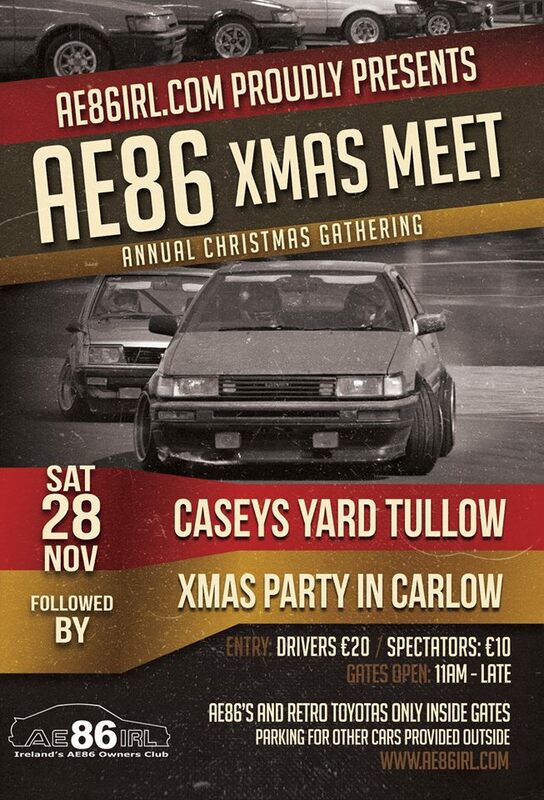 The day was organised by AE86irl’s very own Nikki ‘resident waffler’ roku and the majority of the machinery out on track belonged to site members with only the odd inferior manufacturer car spoiling the harmony! To cap things off the weather took a break from it’s usual pissy wet October self and the sun came out setting the scene for some 86 mayhem ! One of the first cars to arrive on the day was Cloko’s KE70 20v – how mean is this thing! Whether it was parked in the paddock or out on track this car drew crowds all day. And rightly so, the finest KE on the island ? … you decide. 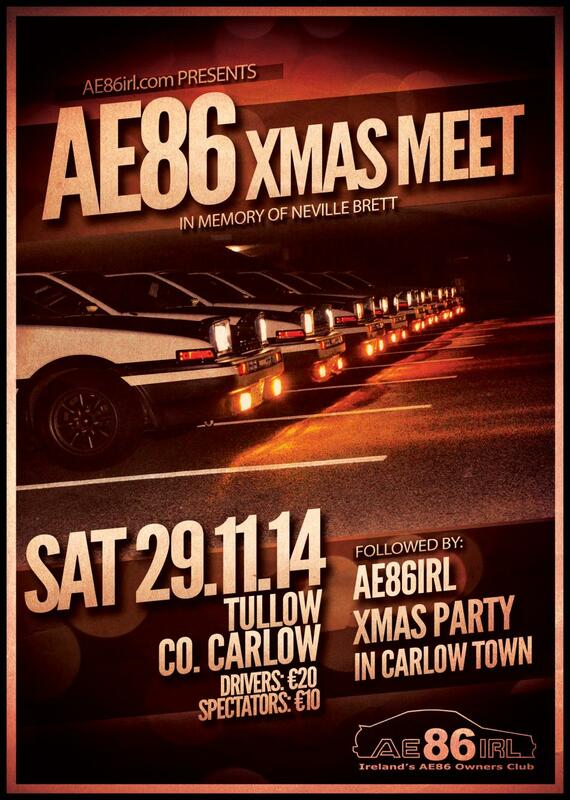 The day was split into Grip and Drift sessions – a first for Mondello on a private trackday. One to watch especially in the drift sessions was kevAE86’s red Levin which seemed to have difficulty going in a straight line… This car looked stunning as always and is a perfect example of a kitted 86 that looks just right. It was especially great to see UK spec cars mixing it up with JDM machinery out on track – I love this picture taken by our site photographer Amanda, I can’t think of a picture which better shows the difference between the styling influences of the GT Coupe and the JDM Levin. Top Job ! I also had a go in my UK Spec car – have to say it felt surprisingly good out on track even managing to mix it up with much more track oriented cars, it was only over heating brakes which cut short my runs and confined me to a *cough* non-AE86 *cough* for much of the days running. However it has only added to my itch to get a full on track slag hachi. Speaking of cars for the track they don’t get much better than Warren’s 4agze’d Levin. The whine from the supercharger was unmistakable and it was doing it’s job well because this levin was very quick. Goes to show that even though the current trend is for 20v and sacrilegious sr20 conversions the 4agze is still a viable alternative if your power hungry. Driver of the day has to go to retrohead, During the drift sessions John showcased the art of manji at its best on the Mondello straights and watching him brought up memories of watching videos of the crazy Japanese drivers who have influenced the drift craze in Ireland…. 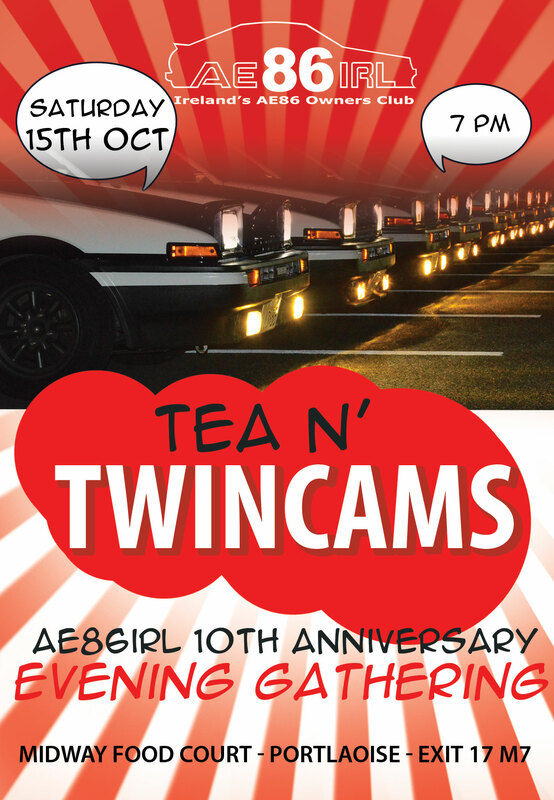 And all with a mildly tuned 16v – Epic ! The day ended with a raffle of sc86’s fully restored black uk spec, the tension and build up was intense as tickets were pulled out one by one leaving site member mondokp61 aka jammy f! *%ker as the winner. Best of luck with it mondo you got yourself an absolute gem of a car. Last but by no means least we have to extend our thanks to Nikki who organised the day she could be spotted by her pink hair running around the paddock almost as fast as the cars on track making sure everything ran smoothly. Big thanks for making the day such a success Nikki ! All in all the day was better than I could have hoped for with something for everyone, stunning cars, superb driving and an atmosphere and sense of community that you just don’t get anywhere else. 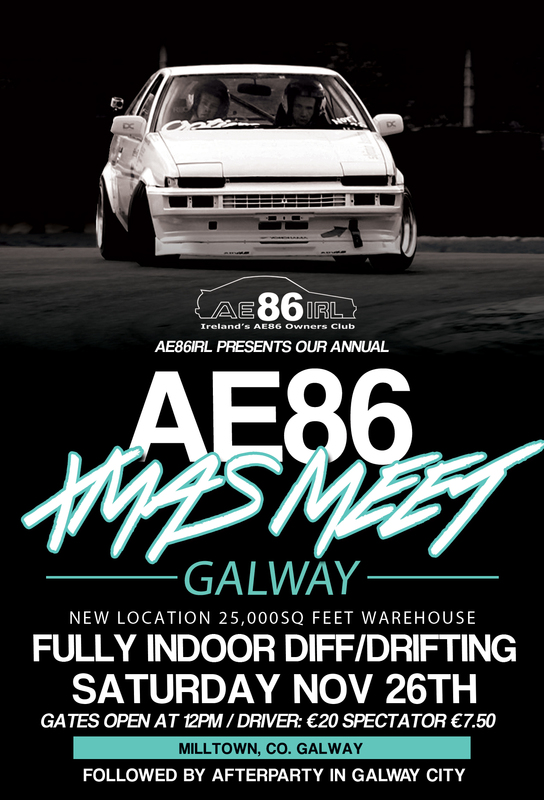 It makes me proud to see how far AE86irl and the AE86 community in Ireland has come – The sound of 4age is still ringing in my ears! – Roll on the next one!